Lansmont’s Model 152-4K Inclined Impact test system was designed to meet all of the traditional industry specifications, but take advantage of same new, innovative design ideas. Specifically, Lansmont utilizes a unique, articulating carriage system. 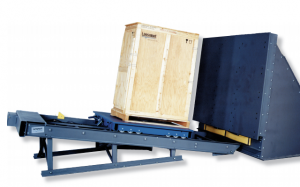 This system allows the carriage to be loaded with a level top surface for safety and convenience. 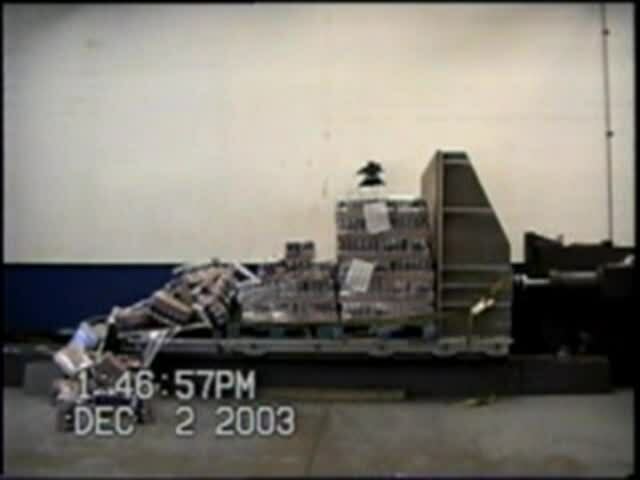 After the test specimen is loaded, the top of the carriage is lowered into its testing configuration and drop sequences happen in the conventional method. Lansmont’s pneumatic articulation system is fast, safe, and reliable. All machine functions are controlled through a hand-held control pendant, allowing the machine operator the ability to position the carriage from different points around the machine. All potentially dangerous conditions are shielded and or safety interlocked for operator protection. This video shows what can happen when you’re packaging isn’t up to scratch. The inclined impact is used to test paletised and crated products for weaknesses. 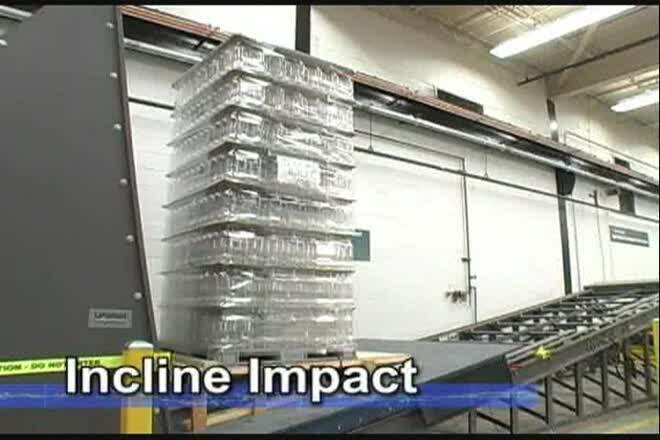 Provides a short demonstration of a Lansmont Inclined Impact tester in operation testing a double height pallet of bottles.